This delectable combination of flavors and textures is sure to do the trick! Not just for dessert, try this tart in place of a cheese course. Sandwich the 2 circles of puff pastry dough between 2 baking sheets. Bake at 350 desgrees for 8-10 minutes. Remove the top sheet pan and allow the dough to brown. Remove from oven and allow to cool on the sheet pan. Peel, core, and quarter the apple. Cut each quarter in half. Place a small saute pan over high heat and sprinkle the sugar in the pan. When the sugar begins to caramelize, add the butter and the apple wedges and toss to coat with the sugar. Cook for approximately 2 minutes until wedges are al dente and slightly caramelized. Transfer to a dish to cool. 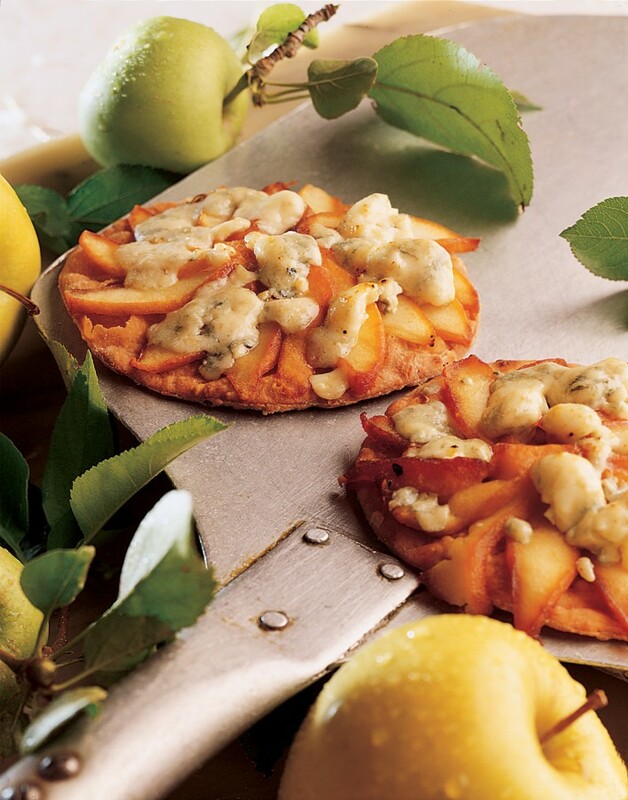 To prepare the tart: Place 4 of the apple wedges around each of the pre-cooked disks of dough in a spiral. Crumble the Roquefort cheese and top each tart. This may be prepared several hours ahead and refrigerated. 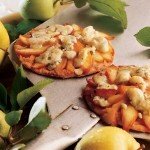 To serve: Heat the tarts in a 425 degree oven for 4-5 minutes to thoroughly heat the cheese and apples. Do not completely melt the cheese. Transfer to warm plates.